If the 2018/2019 summer couldn’t get any bigger, the return of Melbourne’s mighty Sundown NYD festival has officially been revealed. As one year ends, another wonderful year begins…and what better way to celebrate the 2019 than with some of the biggest trance acts on the planet. Australia’s touring giant Evolution Events have revealed that Sundown will return on new years day in 2019 and promise to deliver an event not to be missed. Hot off the success of Subculture, Evolution Events have had a massive 2018 with tours from Mental Asylum, Subculture, Pure Trance and Frontliner; and Sundown doesn’t see them slowing the pace. 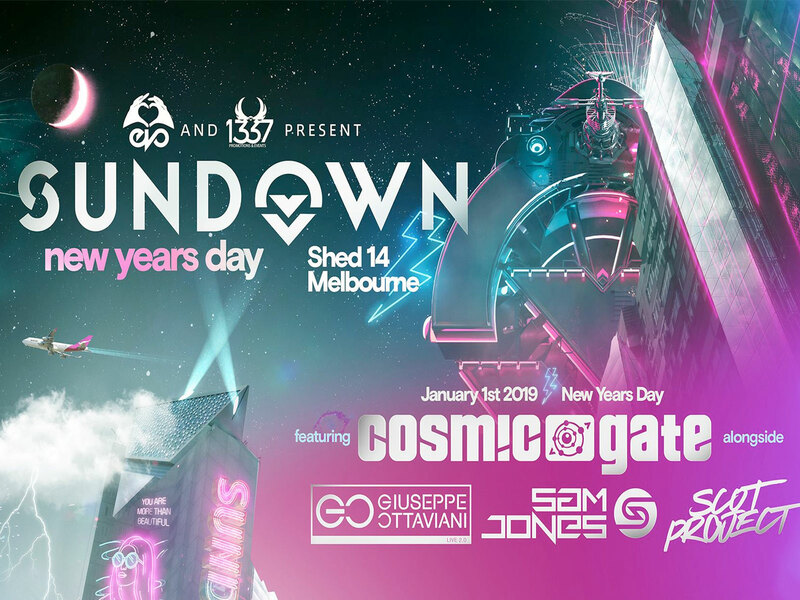 Legendary trance duo Cosmic Gate are set to headline Sundown 2019 alongside Italian trance master Giuseppe Ottaviani, Welsh favourite Sam Jones and hard trance icon Scot Project.